I called my father on Tue night. He was asking me, how is your feeling staying in a new house? I answered: Not bad. Feel comfortable and so far so good. Inside my heart, I wanna thank him for giving advices before renovation, on what to do from Feng Shui point of view. Because he has given advices in a way that to give all of us good health, prosperity, luck, and most importantly, to live in harmony. Well, I just hope things will go smoothly. No point living in a good house but you have no time to enjoy as spending more time to work, or live not healthy and happily, etc. So far, we quite enjoy staying in our new house. With a Waterway nearby, my hubby, son, and myself had chance to cycle together at night, enjoying the breeze and beautiful nature. I hope I can have this activity regularly. 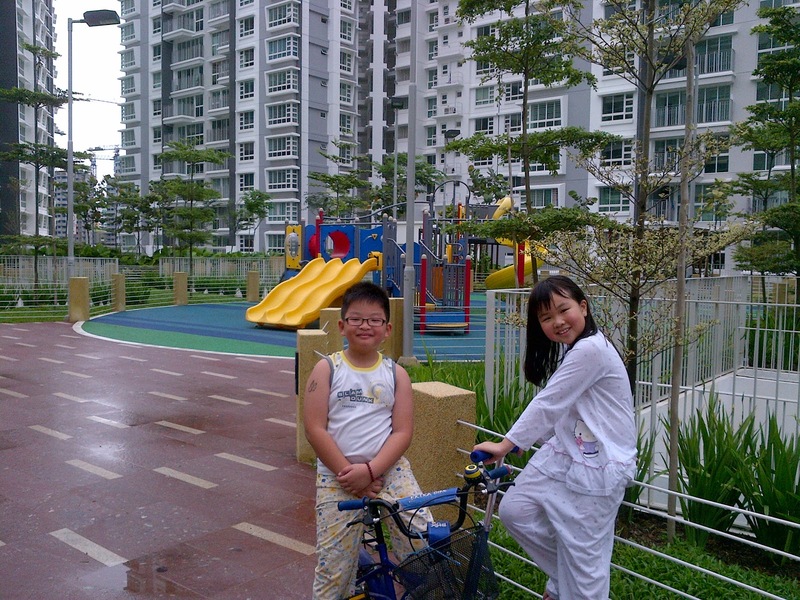 Not only to do some exercise, but also create family bonding, for 3 of us. I think it's important to give a happy childhood to my son as he feels loved and could spend more time with his parents. As he grows up, he will lead on his life. He may find his love one day, build his family, and so on. Time is limited. So while me and hubby can sayang him, we will do so continuously. Relationship with my in-laws is also so far so good. We maintain respect to each other and promote give and take. Now what's app also make our relationship closer among me and sis-in-law. 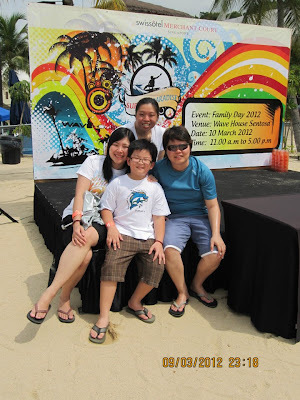 Planning to have family outing this year, but not yet know where to go and what to do yet. Life is short. Do what you wanna do. Love the person you love. Say sorry if you have to. Have a great life ahead!!!! We went to Wavehouse @Sentosa last Saturday. The company where I work organised the Family Day for staffs and its families and friends. Since my hubby was working, I asked two of my best friends to attend and they happened free to join and quite enjoyed it. I brought my son along and he played with my colleague's daughter, whom he knows for 3 years plus but finally could play together and shared same connection. Hahaha.... They enjoyed playing water and baloon inside the shallow pool. The weather was hot, then it rained heavily. When it stopped, they continued their games. It was a chance for staffs to surf in machine-made waves. If you paid it urself, it would be quite expensive, but we could try it free, but they limited it to 10 persons per session. We were there from 11am and finished at about 5pm. We had our dinner at Vivo before going back home. Once reached home, I took a bath, blowed dry my hair, and had a sleep rightaway at 8pm, woke up the next morning at 8.20am. 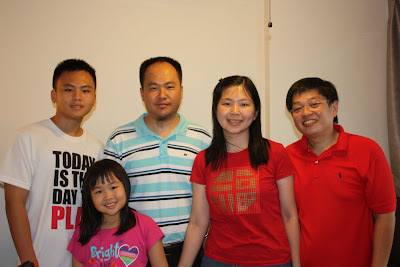 Hubby, son, and I went to Compass Point for breakfast @Kopitiam. 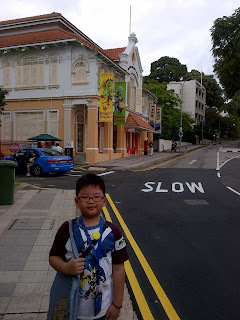 Hubby left earlier while Reever and I went to Philatelic Museum. He and his classmates just went there last week, but he told me that the time was just too short and he would like to go there again. Since I hadn't been there for ages, I decided to go with him. We stopped by the fire brigade centre first to see the exhibition inside, then walked further up to the Museum. It's free for children, and adult needs to pay $5. Although the place is small, it was quite fun. Lots of interesting things to see and do. My brother's daughter spent a night at our house. She played and slept in Reever's room. Reever was quite gentleman enough to let the upper bed for Mei2, and he was sleeping in lower bed. They had quite a hard time to sleep. They took a glass of warm milk before trying to sleep again. They slept at about 11pm. They woke up quite early. I told them if we wake up early if weather was good, so that we can cycle to the park. But it was drizzling and windy so I asked them to have a cup of Milo and biscuit first for breakfast. After a while, we went down and played at 1st floor. When rain stopped, we visited 2nd level for a while, then to Waterway. But Aryn took scooter instead of bicycle (she doesn't know yet how to ride it), and she was a bit tired pushing it around, so we returned back home. 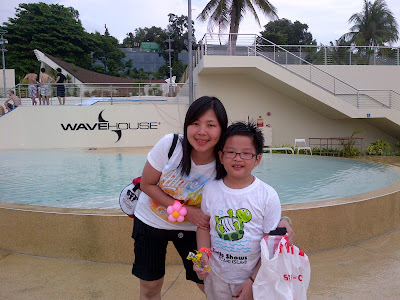 They had fried rice and cucumber tomato salad after that before taking a bath, and all of us headed to Zoo.... They are playing with water while I am waiting for them. It almost 2 hours by now. Hope they finish soon. Well, brought around my kid while I can. Give him more attention to his studies. Those are my priorities for this year. No ACCA exam for the first half of the year and still considering for 2nd half. I feel quite tired actually since I moved house. Seems like my time was spent most for others and not for myself. I really need a break. I also want to relax and enjoy, just like the time I spent in Philippines last year... Enjoying the pool. sea breeze, having food with friends, chit-chatting, drinking and dancing session, and many more. Hope to have another one anytime soon. Well, stop daydreaming and just hope those kids are back soon!!! We ordered our food from Stamford catering and food is so so ba... I bought additional frozen food and deep-fried it ourselves, scared not enough food. 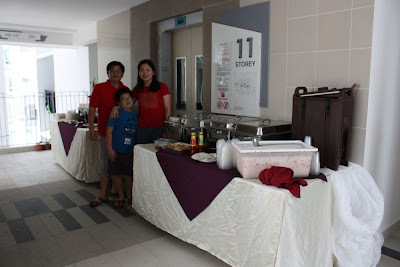 The food was over ordered, as we seldom order from catering, still can keep some for dinner and the next day meal.